Christmas is coming so quickly. 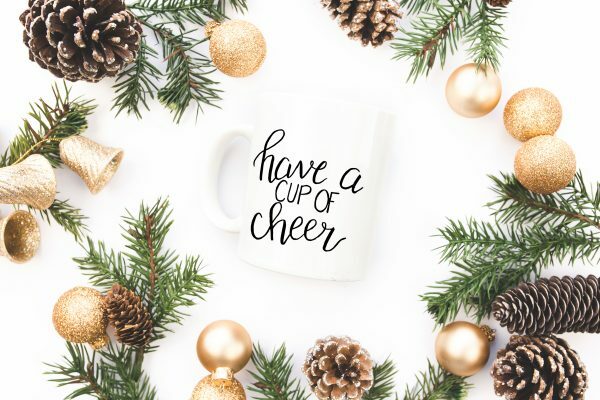 For all you last minute shoppers , I’ve got a quick and easy Christmas gift for you. 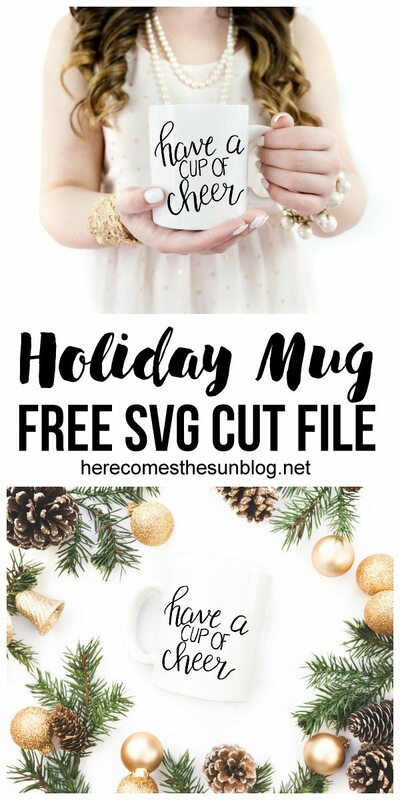 You can make this easy holiday mug using this hand lettered SVG cut file. 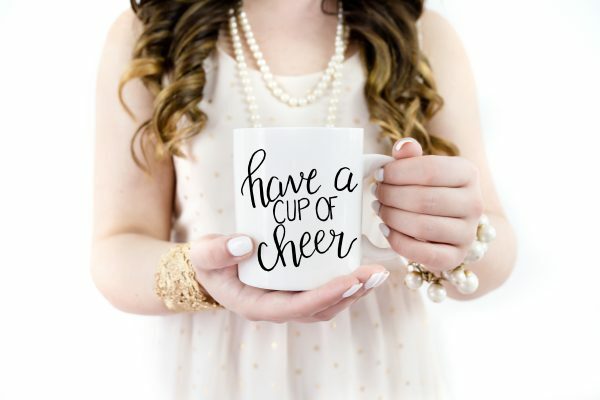 This mug is so super easy to make. Ready to learn how? 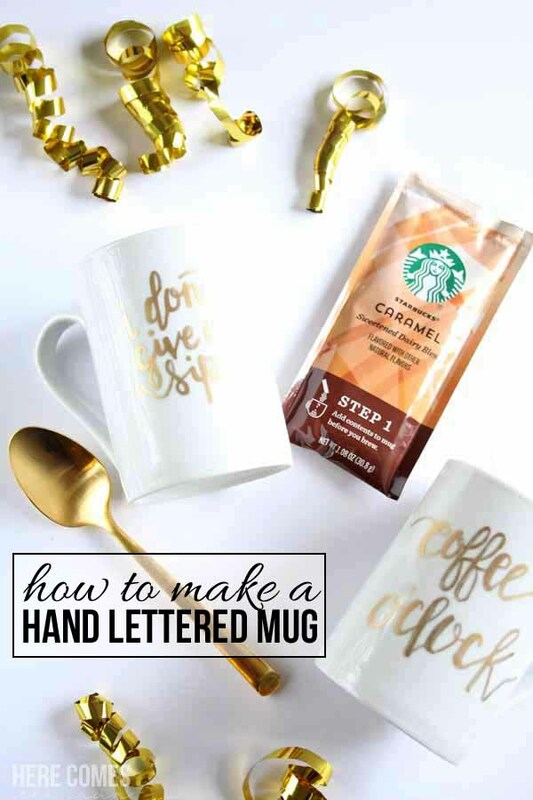 All you need to do is download the hand lettered svg cut file, cut it out in vinyl using a Silhouette or Cricut and stick it onto a mug using transfer paper. Voila, instant gift! You’ll want to use a vinyl that is outdoor/ waterproof like this kind and make sure to hand wash the mug. I’ve created a cut file specifically for the Silhouette since that is what I own but I don’t want you all with Cricuts to be left out so I also created an SVG file to use with other types of personal cutters. You can use the SVG file with the Silhouette Design Edition as well. You can access the files in the resource library, below. When cutting, I set the Silhouette speed to 1 because the letters are not very wide. I found that if I used a higher speed, the letters sometimes pulled up from the vinyl and ripped while cutting. Please note that these cut files are for personal use only. You may not sell or redistribute them. You may also not sell any designs that you make with them.